Pantoscopic polarizing camera, measurement device for moon’s magnetic field, and gamma ray spectroscope have been chosen as scientific payloads for a test orbiter, which is South Korea’s first space probe for moon that is expected to be launched in 2018. Ministry of Science, ICP and Future Planning (MSIP) made an announcement on the 19th that it has selected 3 scientific payloads out of 9 payloads that were proposed at Scientific Payloads Selection Committee, which took place in early January, for a lunar orbiter that will perform scientific tasks. This orbiter will circle moon’s polar orbit at 100km of altitude for more than a year. Its major tasks are to explore geographical features and resources of the moon and to research surface of the moon and surrounding environments. Pantoscopic polarizing camera will observe polarizing light at lunar orbit for the first time in the world. Not only is it going to investigate front of the moon, but it will also investigate how sizes and types of particles on surface of back of the moon, high-energy particles from the sun, and space shuttles affect moon’s index. It will gather pantoscopic images of all surfaces of the moon, and these images will be used as basic material to look for suitable site for landing in the future and to design rovers. Measurement device for moon’s magnetic field will measure intensity of small magnetic field around the moon, which is gradually disappearing after formation of the moon, and will form a high-precise 3D magnetic field map. It is expected that this device will be able to gather necessary information to investigate formation of the moon and evolution process by researching unusual locations of moon’s surface that cause special magnetic field. 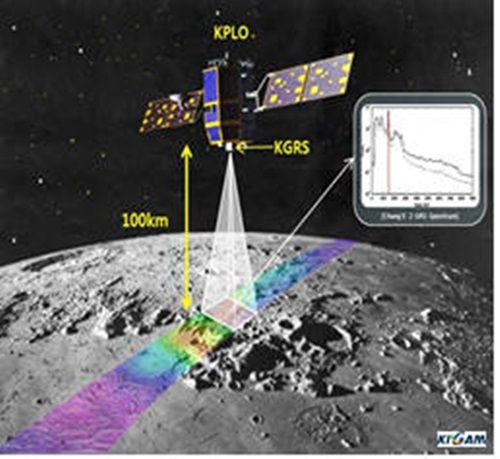 By using a gamma ray spectroscope, one can understand composition and distribution patterns of elements on moon’s surface by examining information from gamma ray that is emitted from the moon’s surface. It is expected that it will also be able to obtain geological feature of the moon and an elemental map of resources. 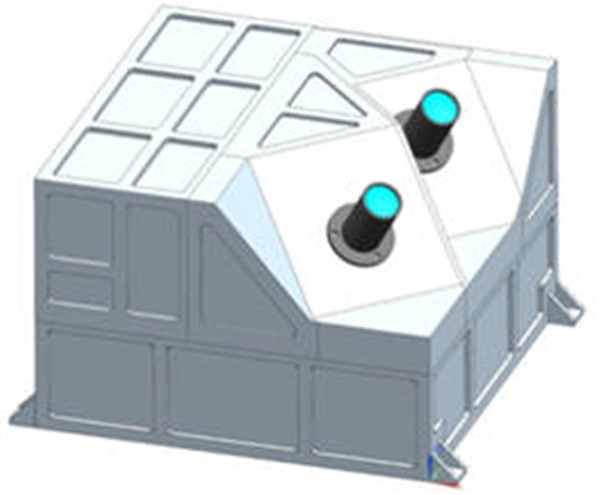 It is expected that these three scientific payloads, high-resolution cameras that are being developed by Korea Aerospace Research Institute, NASA’s payloads will be loaded into this probe. High-resolution camera will form a precise topographic map to select suitable sites for landing modules as a second phase in the future.